It was one of those hectic days, a friend whisk me to some place I didn’t know exist. Let’s just say I trusted this friend so much that I went without questions and qualms of what awaits us there. To my delight, it was actually a food-try session of this newly opened cafe at a newly opened C-Tree Hotel. A charming 24-room boutique hotel that stands stylishly along Acacia St., in Juna Subdivision. 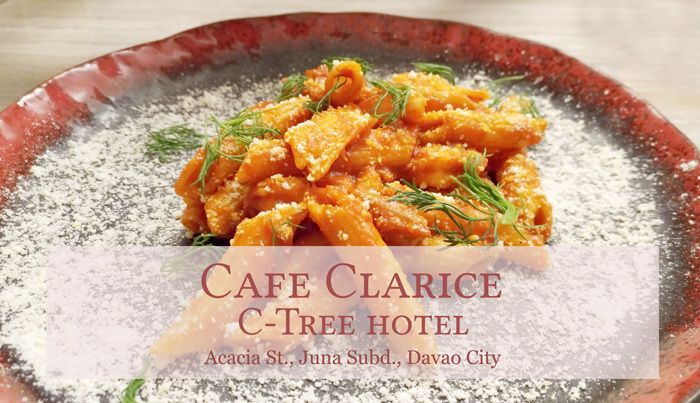 Cafe Clarice is located at the ground level of the hotel. It’s an elegant place with fine yellow and black fittings, graceful matching floral wall art albeit slightly modest space. Arvin Dizon, the General Manager of the hotel informed us to choose what we fancy from the menu. So let's start off with the Soup of the day. 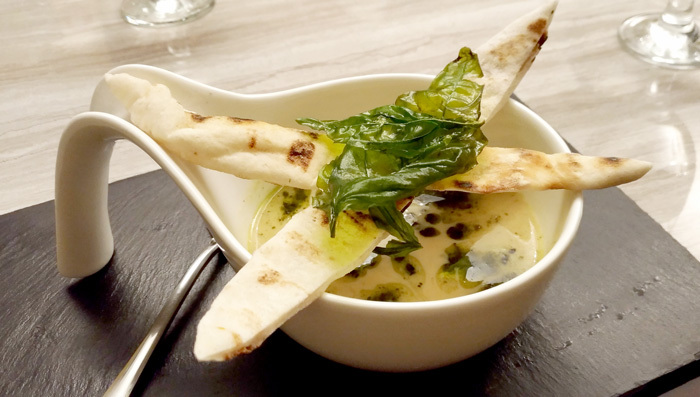 A creamy cauliflower bisque in mild curry and served with slightly leavened flatbread. For Appetizer I had Tuna Tartar. 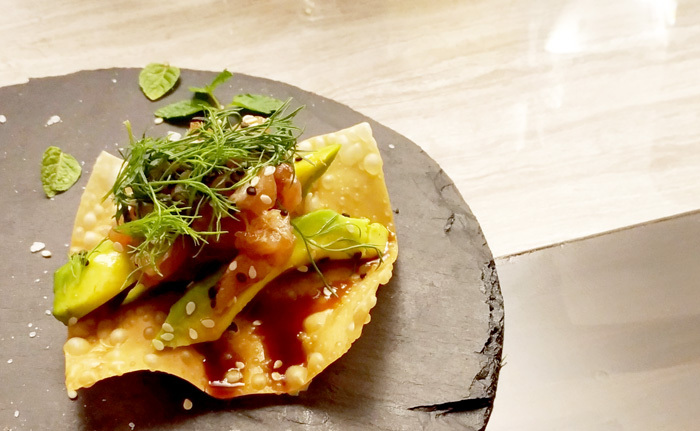 A classy heap of Tuna wedges, Avocado, Fried Wanton Wrapper, Sesame Seeds, drizzled with Teriyaki Sauce and presented on a stone trencher. It's fancy, I seldom eat on a flat stone tableware and I like it! I arranged for Thai Beef Salad. 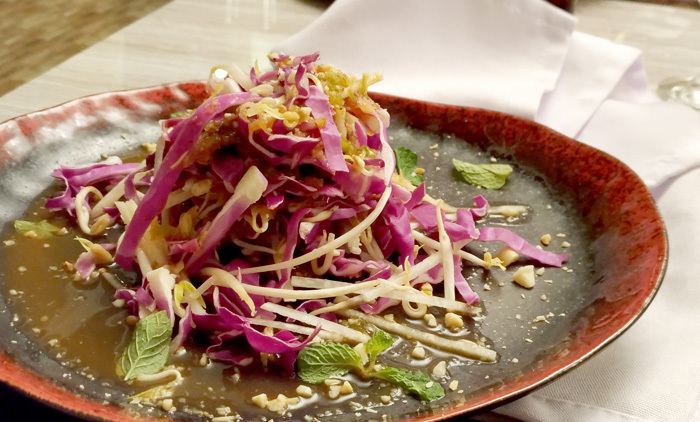 It’s a healthy mound of marinated beef, Asian Slaw, Cilantro, Thai Basil, Mint, and Peanuts. I love red krauts, they’re crisp and gives dishes texture. Although I was hoping they could present it in finer shreds next time. It’s something you should try when at the cafe. I went with Chicken Teriyaki for my main dish. A classic Asian presented with edgy sheared and portioned veggies on a stone trencher. This is good, recommended pick! 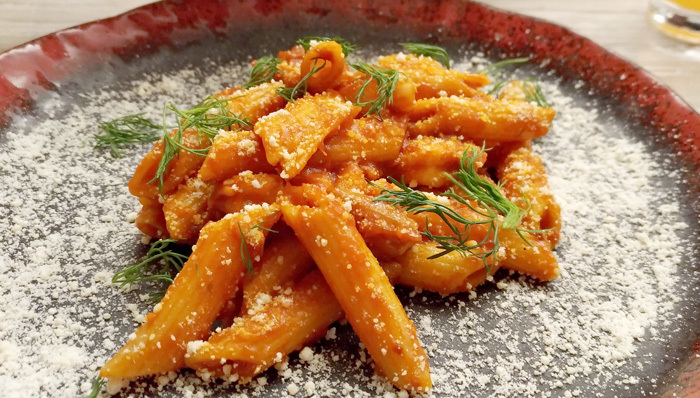 If you want to level up your pasta experience, try this Marinara Penne Pasta. It’s a rich and delectable harmony of herbs, olives, Napoli Sauce and Cream Cheese. The Malagos chocolate bomb capped-off our night. If you worship chocolates like I do, then this is one dessert you shouldn’t miss for the world. I documented mine before devouring. I know you’ll do the same too. It truly is a way to end the night - sweet indulgence! 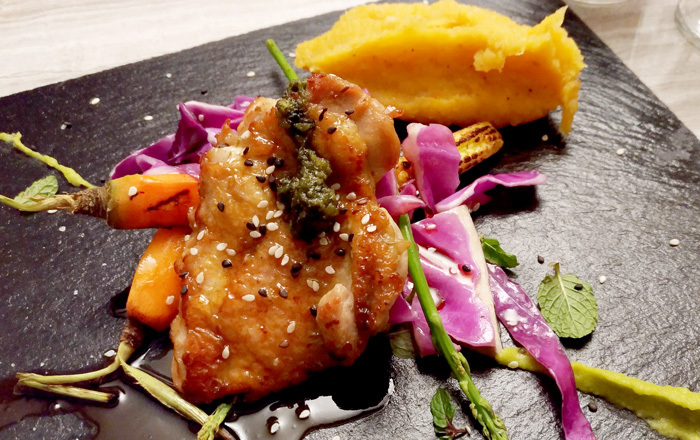 Chef Josam Gabucan Barbadillo, the young chef running the cafe informed us that all of the ingredients used in the dishes were house-made and has used locally-grown and locally-sourced ingredients, hence, diners can be assured of the quality and value of the food that they serve. 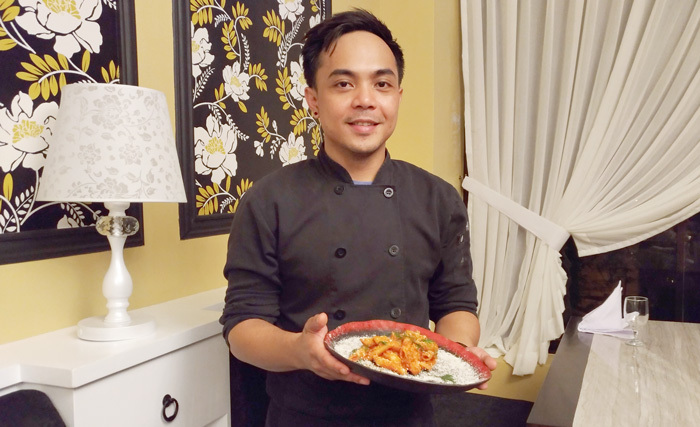 Chef Josam Barbadillo has worked in various restaurants in Hawaii, New York, Chicago and Australia. His culinary experience and brand of Asian and European Fusion cuisine is something Davaoenos should try and experience. If you are looking for a dining adventure that's out of the usual, Cafe Clarice bids you a culinary experience you truly deserve. A gustatory quest that combines style, art and cultured flavours in an intimate and elegant setting.